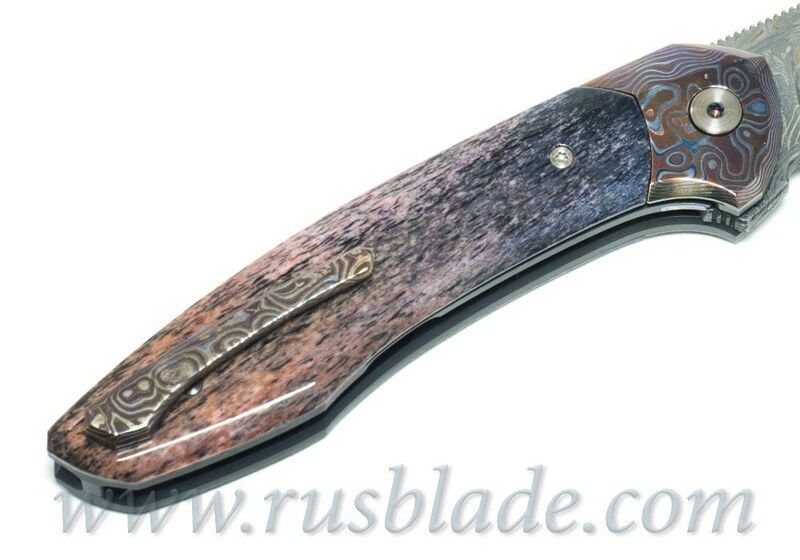 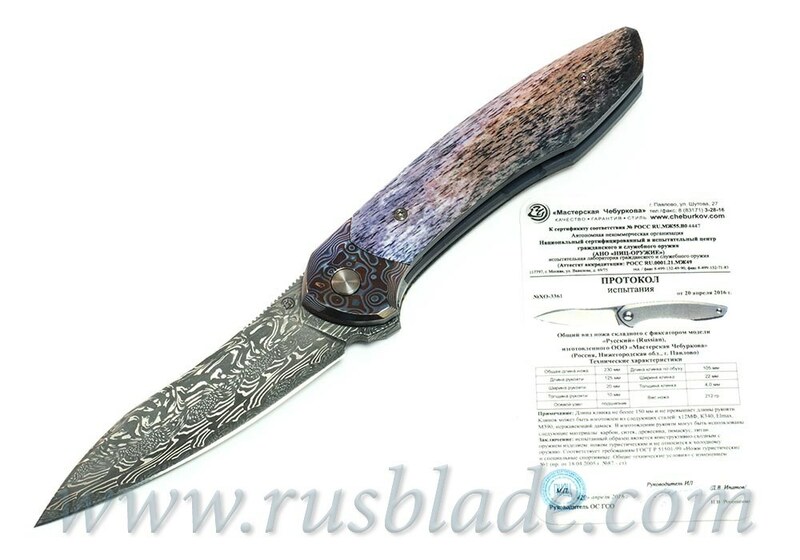 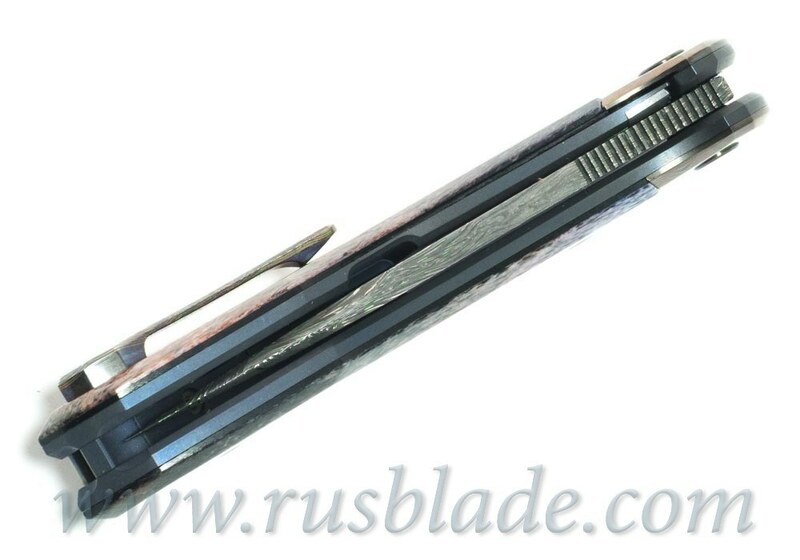 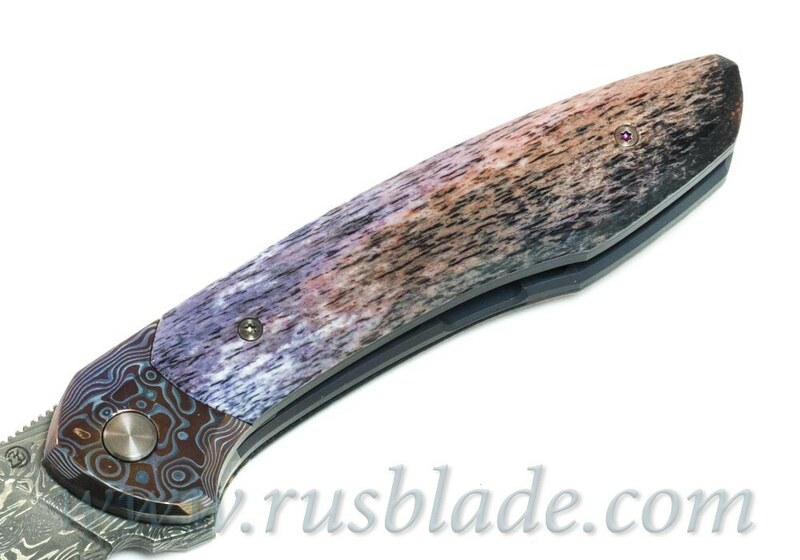 This is beautiful "Russkiy" folding knife one-off FULL CUSTOM from master Cheburkov, Russia. 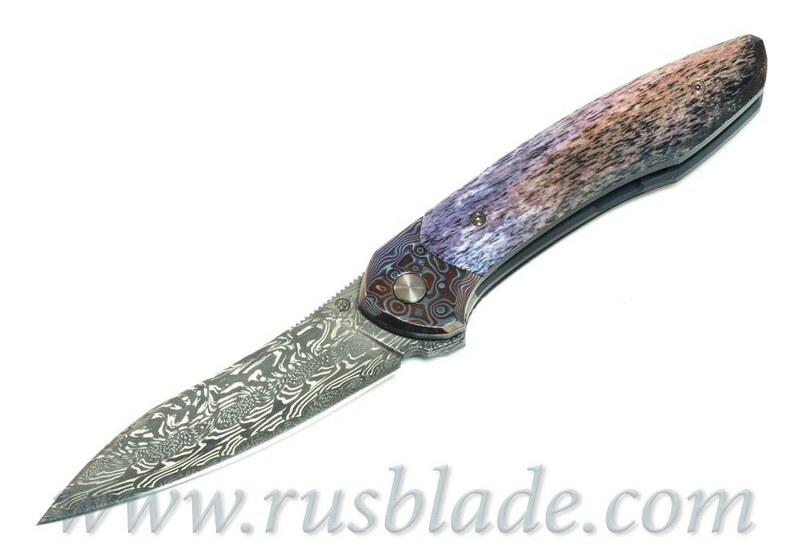 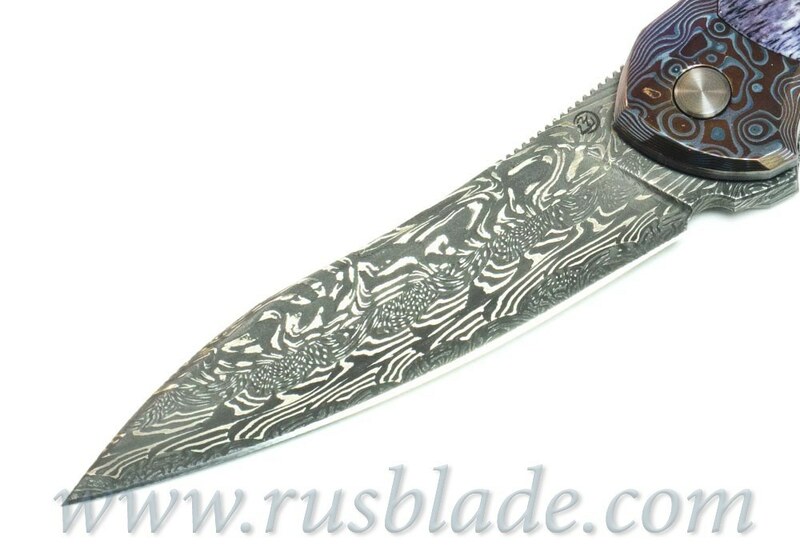 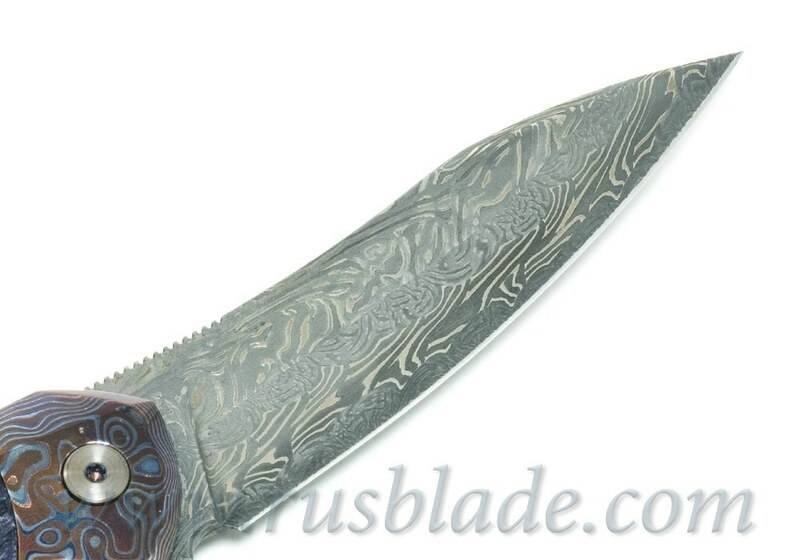 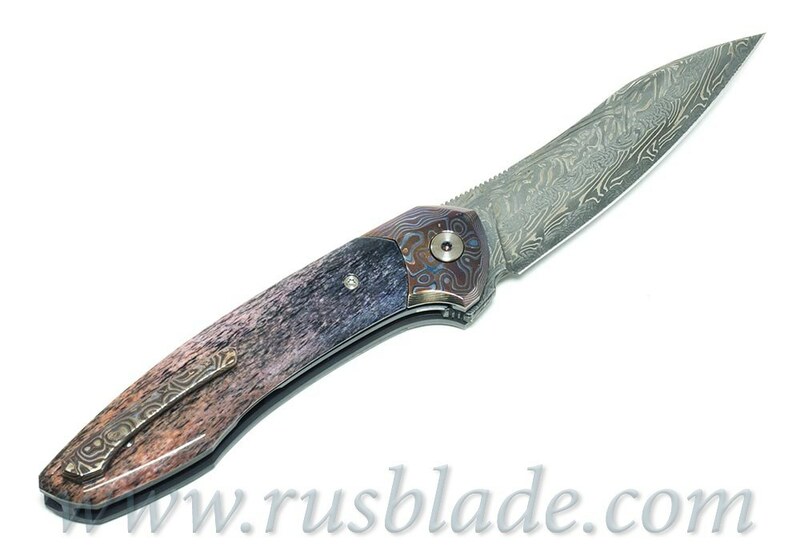 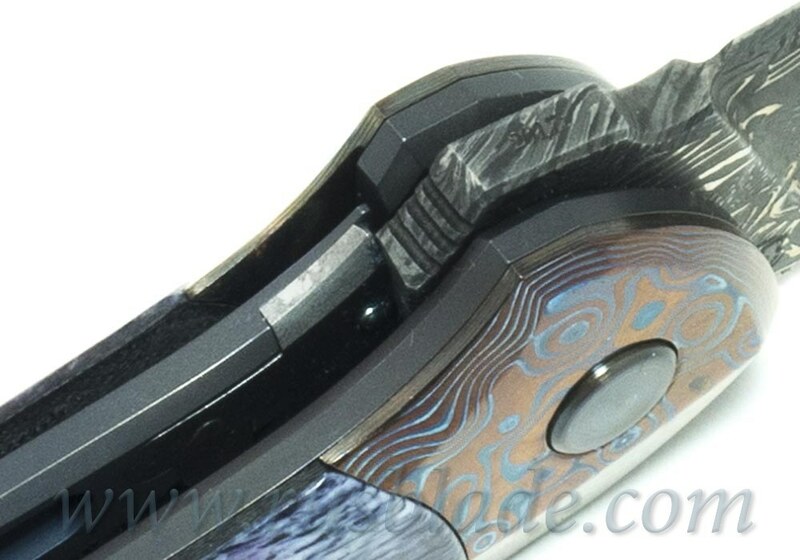 Top config, damascus steel blade, handle titanium, mokume and Giraffe's bone inlays! 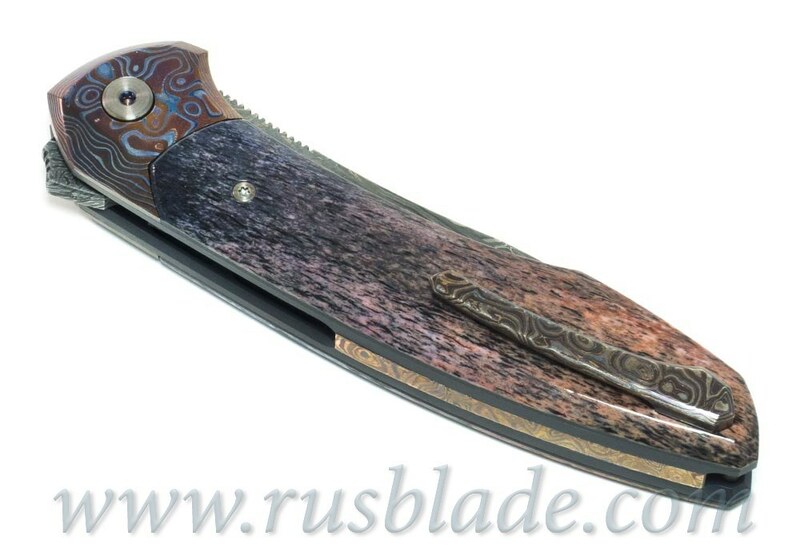 Liner-lock, sharp, smooth and easy opening.